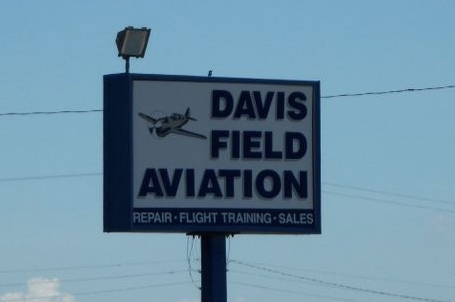 Davis Field Aviation is the FBO (fixed base operator) for Muskogee-Davis Regional Airport (IATA: MKO, ICAO: KMKO), which is a general aviation airport, located on highway U.S. 64, 5 miles (8.0 km) south of the City of Muskogee, Oklahoma, downtown business district. The FBO hours of operation are 8:00 a.m. to 5:00 p.m. Monday - Saturday. Avionics and Maintenance hours of operation are 8:00 a.m. to 5:00 p.m. Monday - Friday. We are closed Sunday, but will come out on Sunday with advance notice. The airport consists of 1,622 acres (6.56 km2) of land, with aviation use and non-aviation areas for future development. The airport can accommodate light through heavy transport type jet aircraft. It is open 24 hours and is attended from 8:00 a.m. to 5:00 p.m. with after hour's service available upon request.